Jackson Defense Ready To Rest? Michael Jackson's defense of child molestation charges may be nearing a quicker-than-expected end — and may have another brush with celebrity. Jackson's attorneys were expected to call comedians Jay Leno and Chris Tucker to the stand this week in what could be the closing days of the defense's case. The defense had been expected to last into June, but prosecutors said in court Friday that the defense has indicated it may rest by Tuesday. Defense attorneys did not comment. Leno was expected to take the stand Tuesday to testify about a phone call the defense says he received from Jackson's accuser. Defense attorneys say the boy's family targeted Leno and other celebrities, including Jackson, in attempts to get money. As CBS News Correspondent Sandra Hughes reports, Leno may hold a very important key to Jackson's defense. Hughes reports Leno is expected to testify that Jackson's accuser tried to become part of Leno's life, too, at his mother's behest. The boy denied ever even calling Leno when he testified at the beginning of this trial. Hughes reports that if Leno comes into the courtroom and says, in fact he did have a conversation with the alleged victim, it's going to be pivotal. Tucker, who like Jackson befriended the boy while he was battling cancer, was to testify about spending time with the family. 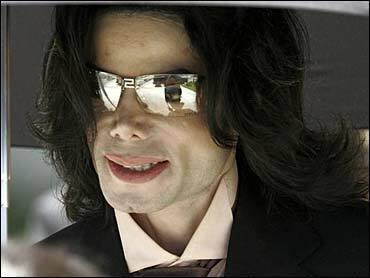 They took several trips together, including one to visit Jackson in Miami in February 2003. It was unclear when Tucker would testify. Tucker's girlfriend, Hollywood casting assistant Azja Pryor, testified last week about her experiences with the family. She said the boy's mother complained in March 2003 that Jackson's associates were trying to keep her family away from Jackson. The timing is significant because Jackson is accused of molesting the boy in late February or early March of 2003. Jackson, 46, is also accused of plying the then-13-year-old boy with alcohol and conspiring to hold his family captive to get them to rebut a documentary in which the singer is seen holding hands with the boy and acknowledges sleeping with children. Jackson, however, says the practice is non-sexual. Once the defense rests, prosecutors will present their rebuttal. Defense attorneys will then respond, followed by closing arguments and deliberations. On Friday, former Jackson attorney Mark Geragos testified that he ordered an investigator to track the family because he feared they were plotting to bilk money from his client. During Friday's testimony, Geragos said he suspected something was up with the accuser's family. So Geragos told his investigator to monitor the family — because he was afraid they were getting ready to shake Jackson down. He says he thought they might meet with tabloid reporters, or meet with an attorney and sue Jackson. Geragos also said he doesn't know how he got hold of the family's passports. He said he knew nothing about a purported plan to fly them to Brazil. And as for whether his investigators acted illegally — for example, in their taping of phone conversations involving the accuser's mother — he says their methods were entirely up to them. His testimony is over, but prosecutors still want him to produce further records, which could lead to more testimony. Jackson, 46, is accused of molesting a 13-year-old boy in February or March 2003, plying him with wine and conspiring to hold the boy's family captive.